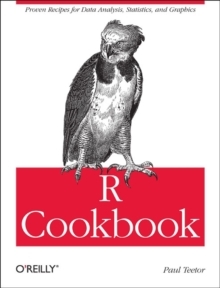 This collection of concise, task-oriented recipes makes you productive with R immediately, with solutions ranging from basic tasks to input and output, general statistics, graphics, and linear regression. Each recipe addresses a specific problem, with a discussion that explains the solution and offers insight into how it works. If you're a beginner, R Cookbook will help get you started. If you're an experienced data programmer, it will jog your memory and expand your horizons.